After six seasons as badass firefighter/paramedic Gabriela “Gabby” Dawson, Monica Raymund is officially leaving Chicago Fire. She’s been part of the NBC franchise since its debut, but now she says it’s time for her to move forward. Right before the Season 6 finale last Thursday, there were reports circulating Raymund wouldn’t be returning to the series, and now we know for certain. Her departure is a huge loss for ‘shippers of Dawsey (Dawson and Matt Casey, played by Jesse Spencer). They’ve been a massive part of the show and one of the most beloved couples. But as fans have seen over the past few seasons, they’ve hit many rough patches. It all came to a head in the finale, when Dawson decided she wanted to have a baby — and carry the child, despite doctors telling her she has an aneurysm that could rupture during pregnancy. The finale ended with Dawson wanting to know more about a team of volunteer paramedics heading to Puerto Rico to help after the disastrous hurricane. She didn’t make her final decision, but now that we know Raymund is done, there’s a good chance Dawson opted to go. What does this mean for Casey? (Spencer is returning.) It seems most likely Dawsey will get divorced, which is something Spencer reflected on while chatting with Us Weekly after the finale. 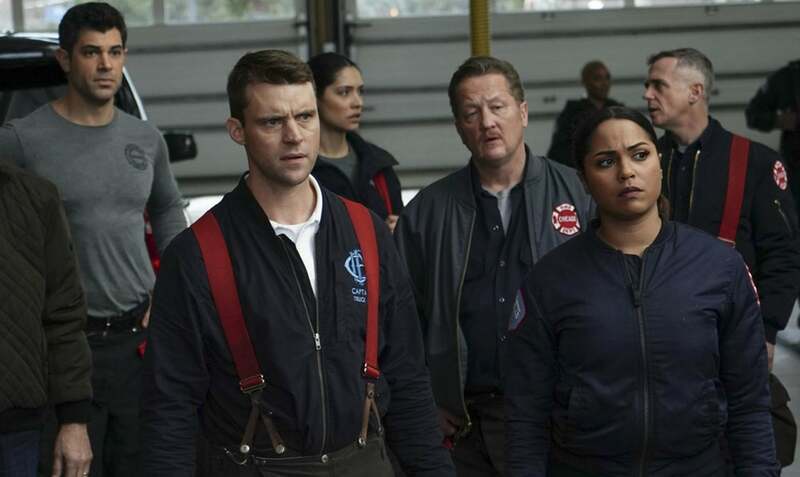 Raymund’s exit is going to cause a major shift in Chicago Fire. Dawson’s been a huge player since the very beginning, so it will be interesting to see how the drama pushes on without her. Even more so, Casey’s storyline has involved Dawson for a long time, so who knows what’s in store for him? Whatever happens, it’s going to be a lot for fans to digest, especially female viewers. Dawson has been an empowering figure for women since the get-go, and her exit marks a sad day. But, Raymund wanting to make a life change and pursue new opportunities is her choice and one fans should support.